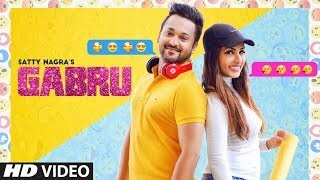 Satty Nagra Gabru Lyrics: A beautiful romantic Punjabi song sung and written by Satty Nagra. The song has music produced by Beat Inspector and its music video is directed by Dreamreel Productions. Iss gabru da hun nahio wass soniye..